Joshua Rush Photos, News, and Videos | Just Jared Jr.
Peyton Elizabeth Lee is spilling on the rest of the Andi Mack cast! 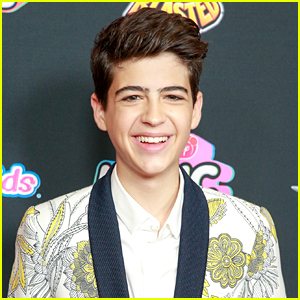 The 14-year-old actress recently dished on who she thought was the funniest person on the show’s set and Joshua Rush was her clear winner! “Josh! Everything that he does. Falling, pranks. Everything he does is always super funny,” Peyton explained to YSBnow. Peyton Elizabeth Lee might just be our best dressed at the 2019 Nickelodeon Kids’ Choice Awards! The 14-year-old actress wore a chic jumpsuit that was covered in hearts, accessorizing with pink eye shadow, on Saturday (March 23) at the Galen Center in Los Angeles. Peyton had the support of her Andi Mack co-stars Asher Angel and Joshua Rush at the show, where she’s up for her first ever nomination for Favorite Female TV Star. Can’t wait to see if she wins! FYI: Asher is wearing a full look by Dsquared. We always knew Joshua Rush was a gentleman, and Aimee Carrero just proved it! Aimee, who is the voice of Elena of Avalor and She-Ra, shared a sweet story about the Andi Mack star during an Instagram Q&A recently. “I met Joshua Rush at a fundraiser once and I fell face first onto steel steps (in front of Alex Rodriguez). Joshua helped me up and didn’t even laugh. He’s an angel,” she shared, praising the young star. If you remember, Aimee and Josh teamed up at the Hurricane Harvey Telethon event back in 2017. Joshua Rush very politely shut down a Twitter user, causing them to delete their tweet. The 17-year-old Andi Mack star retweeted and responded to a tweet that said Disney set a poor example by making his character on the show, Cyrus, gay. “I am very disappointed in the way this show has been directed there are some very good messages through this show for it’s young audience, but introducing gays is a very poor example to the young adults watching this show. Poor Choice Disney,” the tweet read. Joshua responded politely, supporting the choice and the LGBTQ+ fans that could be watching. After he shared the tweet and his response, the user deleted their tweet. But thanks to the internet, it’s still around. “the internet is forever, you can’t delete a tweet and expect it to be gone lol,” Joshua added with a screenshot of the original tweet. Andi Mack made more history on last week’s episode and Joshua Rush is opening up about it. 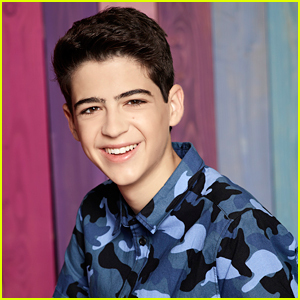 If you missed it, Cyrus officially came out as gay to Asher Angel‘s Jonah Beck during his grandmother’s shiva. It was just another profound moment on the groundbreaking series. Joshua spoke to GMA about the moment and making television history with Cyrus. Andi Mack airs Fridays on Disney Channel.